U By Kotex Tampon & Pad Freebies! A Must Have Sample For All Women! 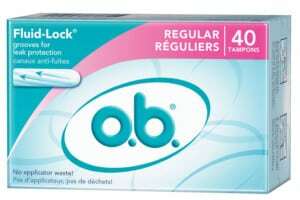 One of the best freebies out there for women is tampons, pads, and liners. Let’s be honest, the price of feminine hygiene products is outrageous! But, you can create a stockpile of freebie tampons and pads as they become available on the internet. That way, you save yourself some money, you are never without a tampon or pad when you need one, and you can share with other women who find themselves unprepared for their period! Right now, you can take advantage of a freebie tampon and pad offer from U By Kotex! Select the freebie you would like to receive and submit your request. 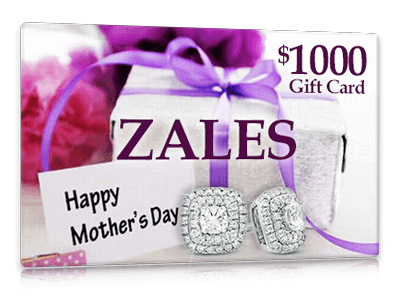 You should receive your sample in the mail within several weeks. Hey, ladies! Did you know that tomorrow (Friday August 26) is Womens Equality Day? The day celebrates the passage of women’s right to vote. It also celebrates the important contributions of women everywhere. In honor of this special day, we created a list of deals and freebies for women! Be sure to check out our other list of womens freebies that we created earlier this week! Sign up for a FREE one year subscription to Brides Magazine! Complete the form to begin receiving your magazine. Olive Garden is offering a special lunch offer from now through Friday (8/26). You can get a salad, soup, and bread sticks combo for just $5.99 with this coupon! If you spend $45 or more on Vera Wang Princess Revolution perfume at Kohls, you can save $10 on your purchase with this coupon! From now through August 28, if you purchase 2 Yankee Candles you can get 2 large candles for FREE! This offer is only valid in Yankee Candle stores and on their website. Get 15% off sale and regular priced items at Lord & Taylor from now through Tuesday, August 30 with this coupon. Why I Will Celebrate Womens Equality Day With These Freebies & Deals (And You Should Too)!! Did you know that this Friday, August 26 is Womens Equality Day? This special holiday celebrates the passage of women’s right to vote as well as efforts to make women equal to men. To help you celebrate this Friday, we have gathered a list of freebies and deals that you may want to take advantage of. These are not specifically womens freebies, but we think you will like them regardless! You can get a FREE one year magazine subscription to Diabetic Living Magazine. To begin receiving issues of the magazine, just complete the form and submit your request. Get $2.00 off your purchase of any Jamba Juice smoothie valid from now through Sunday, August 28. If you purchase a sub and a regular soft drink at Quiznos, you can get a FREE sub when you use this coupon at a participating Quiznos restaurant. This offer is valid through Thursday, August 25. Get a FREE sample of L’Oreal Age Perfect Hydra-Nutrition skin care products. To get your sample, fill out the brief form and submit your request. Sign up for your FREE subscription to Watch! magazine. This is a great lifestyle magazine that many women enjoy reading. Get your FREE subscription today. Have a great Womens Equality Day, and be sure to check back for more freebies for women! Get FREE Poise Samples With These Free Poise Kits! Ladies, Poise is currently giving away Poise samples! You can choose from two different Poise sample kits. You can get a Poise sample kit for light leaks which includes one Lightest Absorbency Regular Length Poise Microliner, one Very Light Absorbency Long Length Poise Liner, and one Light Absorbency Poise Thin-Shape Pad. This sample kit is great for women who have occasional bladder leaks. The other sample kit is the Poise starter pack for moderate leaks. This kit is ideal for women who experience a moderate amount of bladder leakage. This sample kit consists of one Moderate Absorbency Poise Thin-Shape Pad and one Moderate Absorbency Poise Pad. In addition to these freebie sample offers, you will also find Poise coupons for liners and pads on the Poise website. To get your FREE sample kit, select the kit that best suits your needs and click on the “Get a FREE sample” button. Then, enter you contact information to receive your sample kit right in your mailbox. There is a limit to 500 FREE samples given away each day. If you attempt to get your freebie and find that the limit has already been reached for the day, try again the following day. Request your freebies while this offer is available! Get Healthy Mama Products FREE With Coupons! From now through July 1, you can take advantage of Healthy Mama freebie coupons! When you print out and redeem these coupons, you can get a FREE Boost It Up! caffeine free protein anti-nausea energy drink and FREE Tame the Flame! heartburn relief during pregnancy tablets. These products are sold at Target and other stores. Right now, you can sign up to receive a complimentary one year magazine subscription to Working Mother magazine! 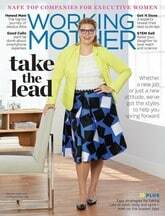 This fantastic magazine is perfect for the working mother who is juggling it all! To get your FREE subscription, just complete the magazine request form. You should begin receiving issues of the magazine within several weeks to a month. OC8 is currently giving away FREE samples of their professional mattiying gel on a first come first served basis. This gel provides shine control for up to 8 hours! To get your FREE sample, send a message to the manufacturer through Facebook and they will send you a sample. Remember, quantities are limited to request your freebie ASAP!